7.Add Chopped tomatoes and green chilies and 3 tbsp Red chilly powder,1/2 tbsp Turmeric,1 tbsp Garam masala and 2 tbsp Coriander powder.let it saute . 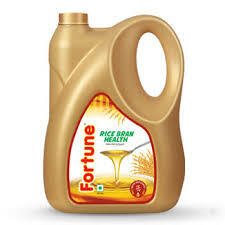 11.Add Marinated fish to the mixture fried with Fortune Rice Bran Oil. 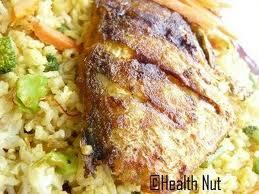 12..let the fish fry in the delicious masala mixture turn the fish ,so that it is fried both the sides. 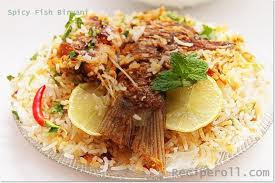 13 .Now take another Big utensil ,add some of the Fish masala and put little rice then sprinkle those saute brown crispy onions on it .and keep making layers .Cover with a tight lid and cook on very low flame for 10 minutes. 14.Uncover and mix gently till the rice is evenly coated with the masala. Simply delicious mouth watering recipe.. check mine too.